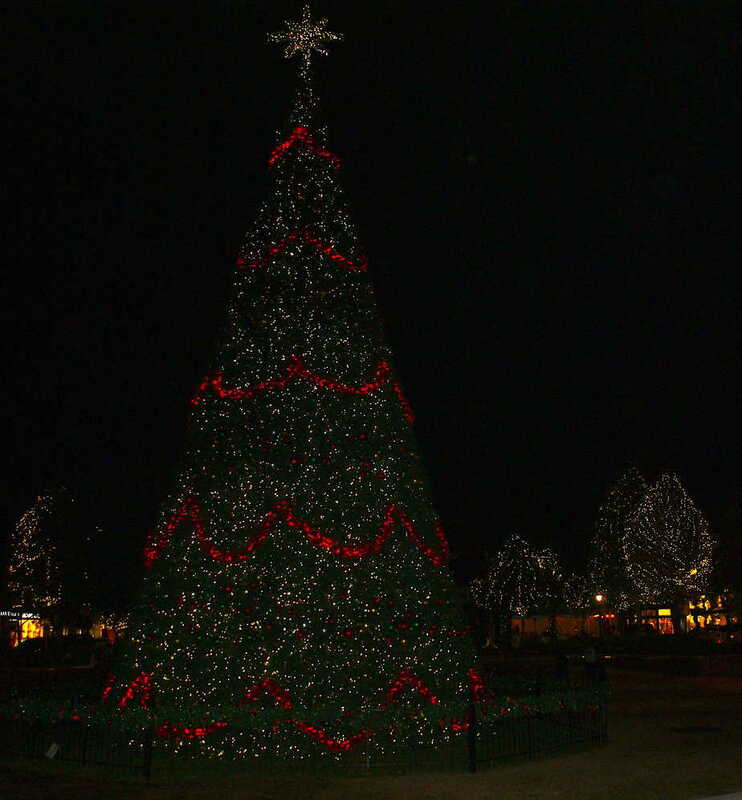 The Woodlands is a great place to celebrate the holidays. 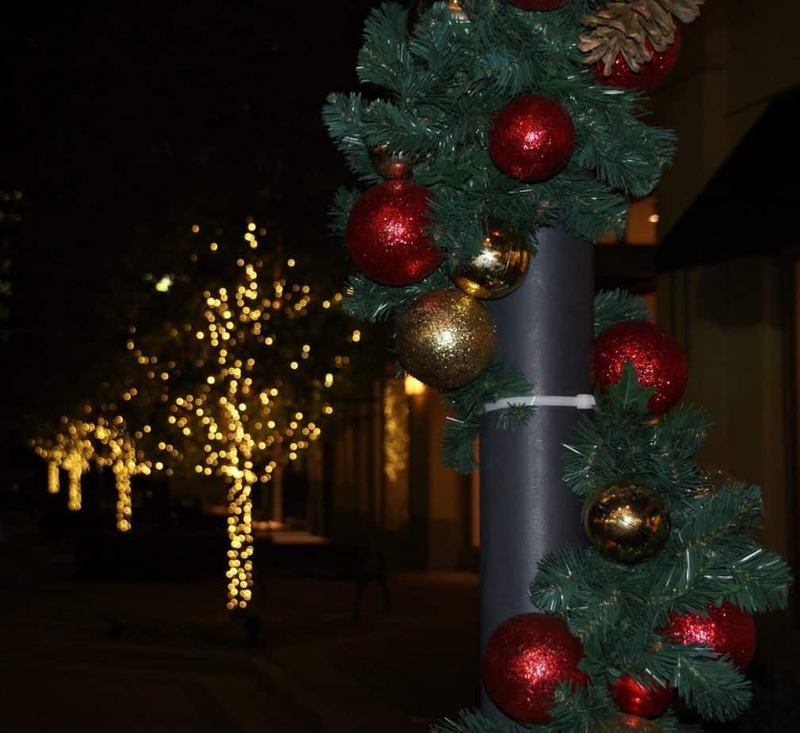 From late November through December and into the new year, there are numerous activities and celebrations throughout this mastered planned community just north of Houston. While residents may not be able to experience a sleigh ride through the snow to grandmother’s house, there are plenty of other diversions for residents and visitors. 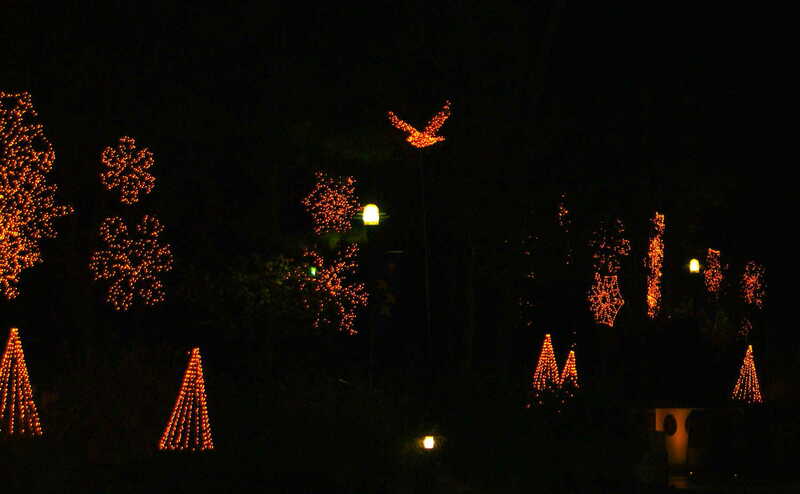 Held in mid-November, the Lighting of the Doves Festival is always one of the highlights of the holiday season. The best known and most visible images are the 8 doves illuminating the Lake Robbins Bridge near the mall. Another 24 doves light up various areas of The Woodlands. The annual festival kicking off the holiday season features fireworks, ice carving, and fun activities for the kids. And don’t forget a visit from Santa, who in the past has made grand entrances by parachute, by sleigh, and by boat! Also, don’t miss the live reindeer, balloon artists, face painters, and hands-on Children Museum activities. Admission is free to view the festivities. 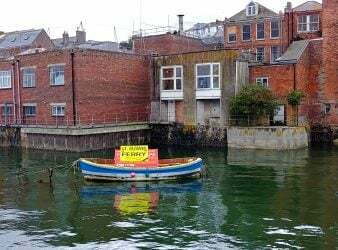 Visitors can also buy tickets from vendors for food, drink and select activities. Attendees can also bring an unwrapped toy donation for local children who often have to do without. Nothing says Christmas like ice skating, surrounded by festive light displays, joyous music, smiling kids and hot chocolate. The marvelous Ice Rink at The Woodlands Town Center is opened from November 18 through January 15. This brand new, 21,000 square foot permanent home is located at the north gate entry of The Cynthia Woods Mitchell Pavilion. It replaced the very popular temporary ice rink put up in previous winters in the parking lot by the mall. If ice skating is not your bag, take a leisurely stroll through the Winter Wonderland that runs along two sides of the Ice Rink. Located next to The Pavilion along Lake Robbins Drive and Six Pines, this 300-yard-long pathway includes toy soldiers, elves, snowmen, angels and the doves of peace. Walking through this Winter Wonderland can help bring home the miracle of the holidays. Take a perfect evening stroll through Market Street. The centerpiece is a majestic 70-foot-tall Christmas tree with synchronized lights twinkling to the music of favorite holiday classics. Over 25,000 multi-colored lights adorn Central Park. 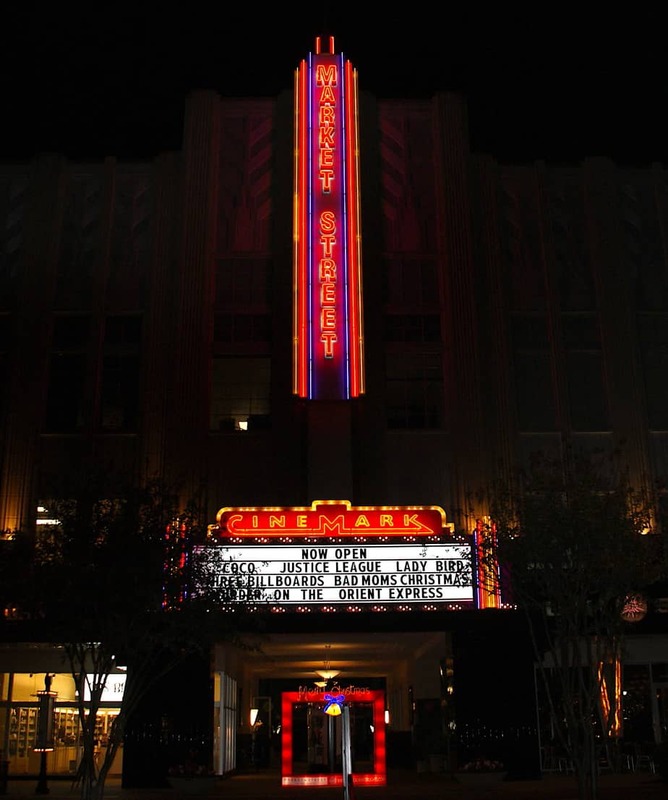 Enjoy a movie and then dinner or drinks at Jasper’s, Tommy Bahamas, or one of the other many great restaurants in Market Street. Also, get into the holiday spirit with a variety of live musical and dance entertainment throughout the holidays. You don’t need to go to downtown Houston to experience a first-class Nutcracker Market. Join the Junior League’s shopping extravaganza for an assortment of personalized gifts, ornaments, nutcrackers, decorative items and more. Conveniently located at The Woodlands Waterway Marriott Hotel and Convention Center, the market is open three days for tons of shopping fun. Visitors can even round up the kids and get photos with Santa himself. How about joining horses, a lion, a tiger, a rooster, a frog, and other whimsical creatures as they travel amid colorful lights on the beautiful carousel at The Woodlands Mall. 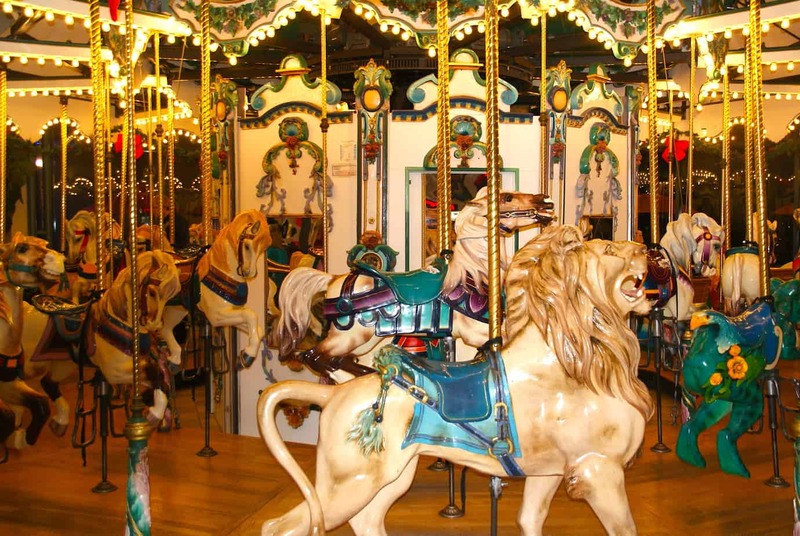 Located on the second floor by the food court, children and those young at heart can pick from their favorite carousel animal to enjoy the ride. After your wild and wonderful ride, grab a bite to eat at the many choices at the food court. Every holiday season, Hollywood puts out some of the biggest blockbuster movies of the year. There is nothing like joining friends and family for a film on the big screen, munching on warm buttered popcorn with your favorite cold drink. Enjoy the latest releases, or perhaps one of the old classics on the silver screen. With so much to see and do for the holidays in The Woodlands, wouldn’t it be great if there was a central hotel smack dab in the middle of the action? 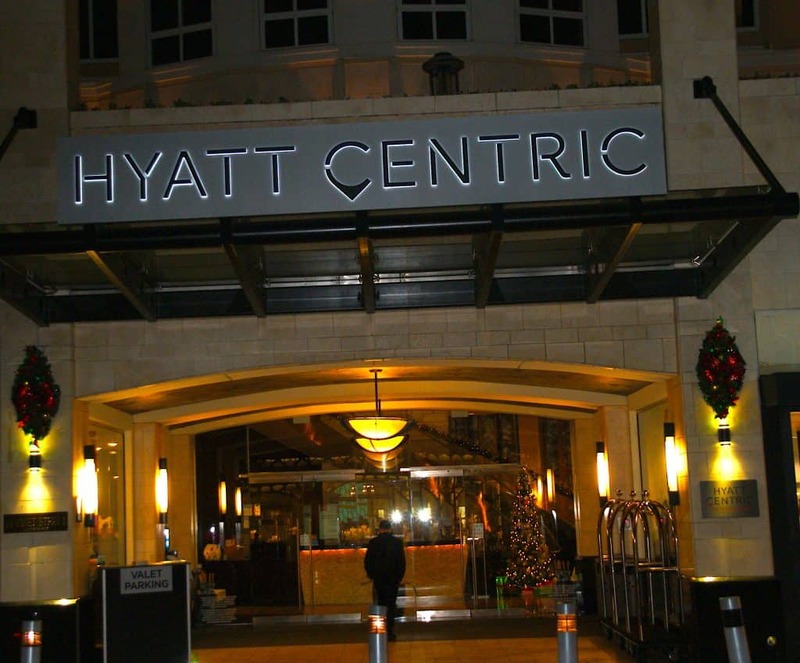 Luckily for overnight visitors, the Hyatt Centric boutique hotel in Market Street is the ideal place to stay. Within an easy walk or short drive to many of the holiday attractions and activities, The Hyatt Centric is a beautiful boutique hotel located on the west end of the Market Street area. With just 70 guestrooms and suites, this luxury hotel offers a contemporary and sophisticated setting for those with discerning taste. Relax in the infinity pool or in the Bella Rinova Day Spa after a long day of skating, shopping and strolling through this winter wonderland. So, make sure you make The Woodlands one of your stops for the holidays. Whether visiting for the day or staying overnight, the varied attractions and activities will bring a smile to your face and warmth to your heart for the true meaning of the holidays.